Whatever your underlying blogging is, I'm sure you do not want what you pour on your blog to be useless because nobody reads the article you wrote. You certainly hope that what you share in the blog article column can be read by many people, and the presence of visitors will also motivate you to be more active in writing. As I have often mentioned in a number of articles, building a blog takes time. That is, to be able to bring organic visitors will take time. If your blog is still relatively new, what you are currently loading on the blog, not necessarily it will be found by readers through search engines because the ranking of your blog page in SERPs is still diurutan below or even not in the index by search engines. To boost the position of the blog page in the SERPs to quickly improve, then do the optimization efforts. Blog optimization refers to a good ranking ranking on search engines known as SEO or Search Engine Optimization. Implementing SEO or search engine optimization is an effort to accelerate and strengthen the position of your blog page in the top search engine results. With regard to search engine optimization, there are certain limitations in the process of applying it. Search engine optimization should not be excessive because it will lead to over-optimization. Sites or blogs that are considered to be over-optimized by search engine algorithms will be downgraded until deindexed. This is because over optimization is a forbidden optimization practice that violates Webmaster Policies as described in the Google Webmaster Guidelines page. Blog optimization should be done naturally, adjusting to the age of the domain, and not characterizing spam practices. To combat spammers, Google continues to develop its search engine algorithms, and is updated regularly. 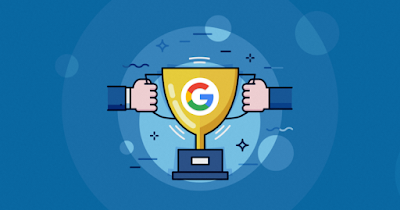 Google's search engine algorithms are performing better over time, as indicated by the number of weblogs that enter the Sandbox and are subject to Google Penalty. Tips to build blog traffic I have actually shared through a number of posts, including how to blog a lot of visitors, how to increase blog traffic with How to articles, analyze the causes of blog deserted visitors, and measure blog traffic based on keywords. And to complete the discussion how to bring blog traffic in previous articles, the following tips to bring 1000 blog visitors per day. RESET KEYWORDSBefore you decide on a domain name, the first thing you should prepare is the keyword. Keywords are the most important capital that will be the determinant of how much traffic volume your blog in the future. How to reset keywords to get the right keywords I have discussed in the article how to reset keywords to build profitable blog. After getting the keyword, I assume you have chosen the domain name and blog is finished you create. The next stage is to focus on writing quality articles that represent titile blog, blog description, and keyword blog. But before you post your first article, make sure the template you use meets the SEO criteria because the template is very influential on the implementation of on-page SEO. WRITE A QUALITY ARTICLEFoundation blog is an article, then make sure you only post quality articles. Quality articles are descriptive articles, representing blog titles, blog descriptions, keyword blogs, solid, do not contain excessive keyword density, and of course provide solutions for readers. Writing quality articles can sometimes be a tough job, so choose a blog theme based on your interests, because writing according to your interests will make you more inspirational in writing and make you more productive. BUILD BACKLINKIf your blog already contains several articles, eg 10 articles, then came the time to build backlinks. To be able to compete in the SERPs required backlinks as links that provide references. In addition to being a reference, backlinks are also a voter. The more votes (backlink), then theoretically well the reputation of your blog in front of search engine algorithms. The diversity of ways to build backlinks is not likely to lead a blogger to incorrect link bulding practices. Make sure you choose the best way of link building. How to build a proper backlink is to build backlinks naturally. The right way of link building I've discussed in the article how to easily get backlinks for new blogs, and how to link building to get quality backlinks. SUBMIT YOUR BLOG TO SOCIAL MEDIA SITERegardless of whether or not, my observation is one of the indicators used Google search engine algorithm in the process of blog page ranking is referring to social media signals. That is, if your blog gets a lot of hits from one or several social media sites, then it will have a good impact on your blog ranking in Google search engine search results index. Create an account on social media sites, such as Linkedin, Facebook, Twitter, or Google Plus. Automatically Submit articles to social media sites using web applications. To post articles automatically to Facebook, you can use the Graffiti RSS app. In addition to getting backlinks, this activity also opens the opportunity to get traffic from Facebook. PUBLISH ARTICLES ON SCHEDULEDIf anyone thinks that posting a scheduled article is not important. I disagree with the opinion, because based on my observations blogs are updated regularly stability of traffic is much better. Post articles on a scheduled basis to tell the search engine spiders that there is activity (adding articles) on your blog. if your blog is still minimal content, post an article at least one article per day, but it depends on the coverage of the theme or theme of your blog. INSTALL CODE TRACKINGYou can use Google Analytics to monitor your blog stats. log into your Google Analytics page, register your blog, install the tracking code from Google Analytics to your blog. By using Google Analytics as a blog stats monitoring tool, you can not only know how many visitors your blog is. You'll also know other important statistics, such as traffic sources, keyword hits, visitor geography, visit duration, etc. ANALYSIS OF YOUR BLOGAnalyze your blog to make sure there are no significant problems with your blog. check the health of your blog, whether there are broken links or other fatal mistakes that can lower your blog ranking in SERPs. Blog stats data in Google Analytics can also be made to make certain changes when it is necessary. Finally, bring visitors to the blog can not be done instantly considering the blog optimization requires a long process and time. Search engines will not display your blog articles on the top results if your blog is still relatively new because the age of the domain (blog) is one of the calculation of search engine algorithm itself.